Next time you consider whacking the tiny, bloodthirsty mosquito persistently singing in your ear, consider for a moment that he and his kind may hold the key to past climate change. Mosquitoes are relatives to the diverse “non-biting midge” family, chironomids, small, two-winged flies that spend much of their life cycle in and around water. 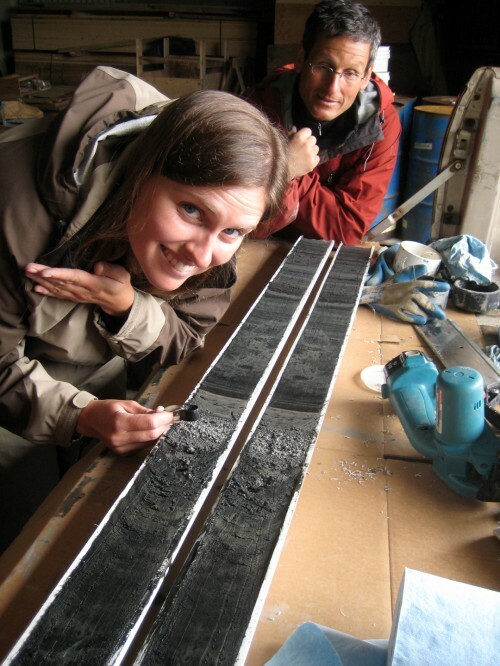 Yarrow Axford (Northwestern University) is looking to the mosquito’s relatives, preserved in lake mud, to help quantify western Alaska’s climate during the Holocene epoch, over the last 11,000 years. Small lakes form in the topographic lows carved by Alaska’s ancient glaciers. The lakes collect sediments during warm interglacial intervals like the Holocene. 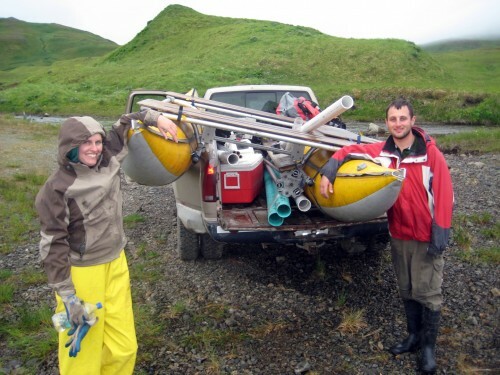 With funding from the National Science Foundation, Axford and Darrell Kaufman (Northern Arizona University) are collecting and studying sediment cores from these lakes in a transect across southern Alaska between Adak, one of the Aleutian Islands midway between Alaska and Russia, and Valdez. Back in the lab, Axford hunts for chironomids preserved in the lake sediments. During their larval stage these tiny flies molt four times. Chironomids shed the outer part of their entire bodies, but the head capsule, which looks like a teeny tiny helmet with teeth, is the part that allows Axford to identify the midges. The head capsules fall to the lake floor where they are preserved in the sediment. 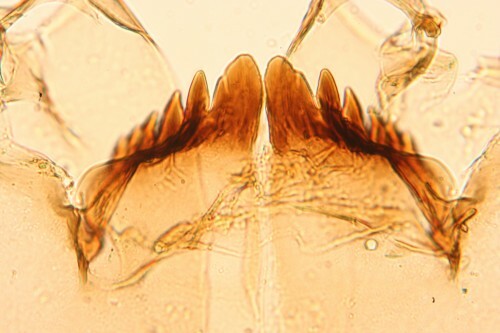 Under a microscope, Axford identifies midge species by examining minute features including each larva’s teeth: teeth patterns and shape; the number of teeth and whether that number is odd or even; and tooth positioning—all of these factors provide clues to the species. One benefit of using chironomids in paleoclimate studies is their sheer abundance. In only a gram of lake mud, Axford can find a statistically representative sample of chironomids—tens to hundreds of helmet-heads representing many different species. Since chironomids’ habitats are partly temperature-dependent, the different types of chironomids present in lake sediments can help constrain past temperatures and climate variability. 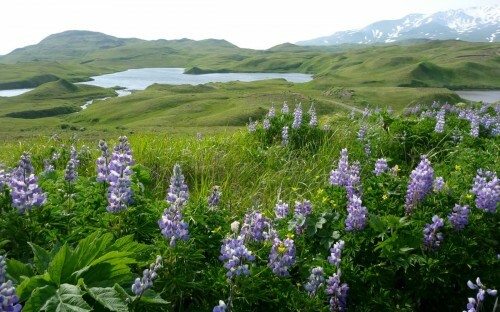 Meanwhile, Alaska’s Adak Island is a unique research location for a couple of reasons. First, there were no mosquitoes or bears complicating field work on Adak, which made it different than most other Alaska field locales (the tradeoff: wondering whether the field party would come across any “unexploded ordnance,” as signs posted at Adak’s decommissioned military base warn).